Higher threats and constrained budgets, how will the UK defence sector adapt? With the country's focus centred on Brexit, the UK faces a widening gap between a deteriorating international security situation and the level of resources allocated to the defence of the realm. The threat environment has continued to deteriorate as a result of the re-emergence of a level of state-based antagonism not seen since the end of the Cold War, the ongoing risk of terrorist attacks, and accelerating technological disruption that is generating an entirely new set of challenges in cyberspace. Against this background, UK spending on defence only just manages to reach the NATO target of 2% of GDP despite some creative accounting, whilst the Equipment Plan is severely over-stretched due to the additional £24 billion in commitments for new equipment that were the outcome of the 2015 Strategic Defence and Security Review. These additional commitments were only funded by absorbing all of the headroom within the previous Equipment Plan, and by reinvesting yet-to-be-realised efficiencies. The UK is therefore rapidly approaching a pivotal moment – either the resources allocated to defence must be increased, or the UK must be prepared to accept a further reduction in the breadth of defence capabilities in future in a new "East of Suez" moment. The threats faced by the UK continue to increase in complexity and severity - therefore the UK must increase resources allocated to defence. 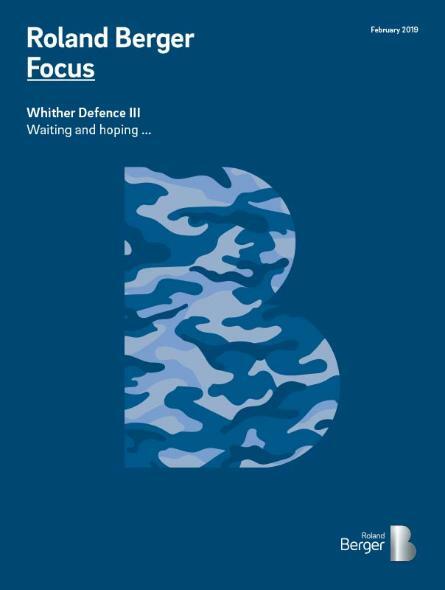 The third in Roland Berger's "Whither Defence?" series titled "Waiting and hoping..." examines the current predicament charting the current security environment, the difficulty in balancing the current budget, and the shortcomings of the Modernising Defence Programme review. Based on the assumption of a new Strategic Defence and Security Review in 2020, we make a series of top level recommendations on how this review should be conducted. Furthermore, we stress that industry must play its part: whilst the defence sector used to lead the commercial world in terms of technology and management practice, it is now clear that the reverse is true. 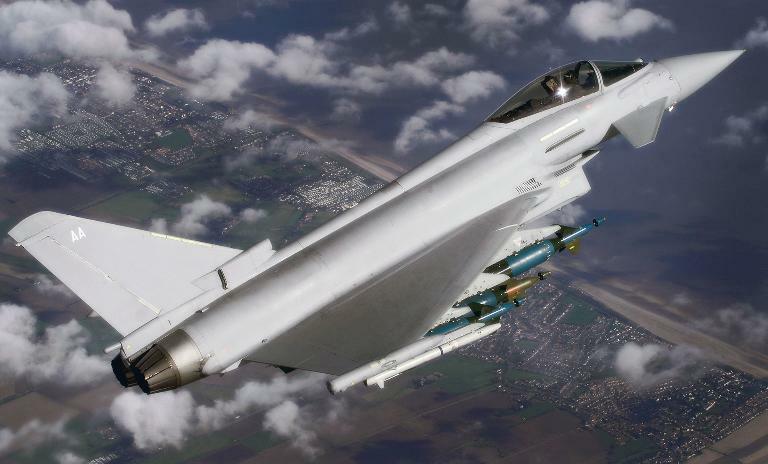 Defence companies must therefore be prepared to embrace the innovation that their commercial counterparts have generated, thereby helping to deliver increased value-for-money for the customer. The post-Cold War honeymoon is long over, and the threats faced by the UK continue to increase in complexity and severity. The UK faces a widening gap between a deteriorating international security situation and the level of resources allocated to the defence of the realm. The UK must either increase resources allocated to defence or they must be prepared to accept a further reduction in the breadth of defence capabilities.